We've gone west coast! In 2015 we opened another office in Murrieta, California in order to meet the needs of our expanding business! We wanted to be able to to accommodate our customers both on the East Coast & the West Coast by having our offices open 9AM to 6PM at both locations. The new office will be run by Carol Stickles and is located in Murrieta, California. Call 951-677-3030 between the hours of 9AM to 6PM PST. 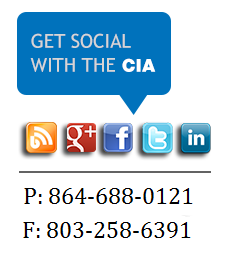 The CIA provides insurance in all 50 states & writes all lines of personal & commercial lines. Carol Stickles has over 30 years' experience as an insurance agent. She began her insurance career 30 years ago with Cossio Insurance and has recently decided to come back as the leader of our California office! Her years of experience and loyalty will serve the customers of Cossio Insurance Agency office once again! Carol Stickles received a Bachelor of Science in Business Management degree from the University of the East in the Philippines. In 1984 she immigrated to the United States and just three years later in 1987 became a licensed insurance agent! Carol is at our office to help you with not only your business insurance needs but also your personal insurance needs such as home insurance, auto insurance, personal umbrella, motorcycle insurance & more! Give Carol Stickles a call today at 951-677-3030 or give her a visit at our new office!